“We are five days away from fundamentally transforming the United States of America.” These words were spoken by candidate Barack Hussein Obama in 2008. Since becoming President he mentions his desire to fundamentally change America often. Why? America is the greatest country on the planet. Of course it is not perfect but its fundamental principles are what make it great. Obama does not believe in American exceptionalism and has said so many times. He wants to go beyond just fundamentally changing America. In his speech, titled “A World That Stands as One,” Senator Obama spoke of “global citizenship” and vowed, just as he would to fundamentally transform America, to “remake the world once again.” As Senator Obama proclaimed himself first and foremost a citizen of the world and apologized for our having a voice in world affairs louder than others. He spent much of his first year as President apologizing for America and bowing to foreign leaders. Let’s see how Obama is trying to change America, and into what. 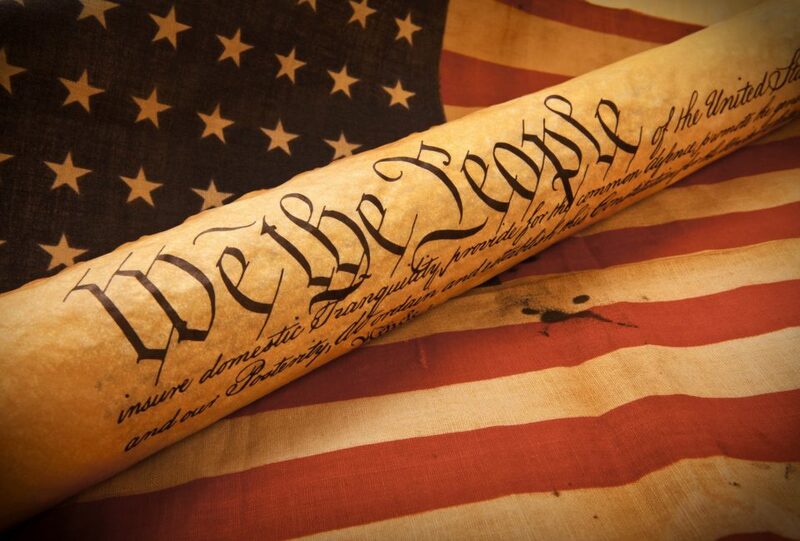 Below are my ideas of our founding principles and how they are under attack by Obama. 1. Rights come from God, not government. Obama clearly believes that the federal government decides what our rights should be. His crowning achievement, Obamacare, creates a new right, the right for all to have healthcare. He does this by requiring all to buy or obtain healthcare, an unprecedented government edict. When quoting from the Declaration of Independence, Obama leaves out a few important words: “We hold these truths to be self-evident, that all men are created equal, that they are endowed with certain unalienable Rights, that among these are Life, Liberty and the pursuit of Happiness”. He leaves out “that they are endowed by their Creator with certain unalienable Rights”. 2. Limited Government/States Rights Obama does not believe in State’s rights at all. He sued Arizona over its law to protect their borders. He ordered Florida to stop purging illegal aliens from their voting rolls. The Obama administration sued to block enforcement of Alabama’s new immigration law. He tried to stop Boeing, a private company, from building a new plant in North Carolina. Obamacare is a direct attack on our individual liberty, requiring all to have healthcare. The mandate that religious employers, including schools, hospitals, and charities, provide health care coverage for abortion-inducing drugs and contraception despite the fact that such coverage is in total contradiction of many of these groups’ core religious beliefs. Under President Obama’s failed leadership, the national debt has gone up $5 trillion to an unprecedented $15.8 trillion – that is $50,000 per person. This is an assault on our liberty. Obama belittles personal responsibility and success. His message is that in order to succeed in life you need the government. During his term the number of Americans on food stamps is 45 million, up 70% from four years ago. Obama took away the work requirement from the welfare program. Obama is setting a bad example to our youth by not taking responsibility for his failed policies. He has blamed Bush, hurricanes, ATMs, kiosks in airports, Europe, hot weather and on and on, anybody or anything but himself. Obama through his agencies have created a host of new regulations attacking property rights and killing job creation. Nothing new from Democrats, but he wants to kill the coal industry, stop fracking, and handcuff the oil industry. Obama has waged a war on success in America. He does not believe in the American dream of working hard and succeeding. Rather he wants to punish success by re-distributing the wealth. Gasoline prices have gone from $1.79 on average on the day that he was inaugurated to $3.59 today. He put moratoriums on oil drilling in the gulf, blocked the Keystone pipeline from Canada, and revoked an existing coal permit that was properly approved years ago. Obama is not interested in our sovereignty. He is naive about the threats around the world. He asked how Iran can be a threat, it is “tiny”. He does not view the Muslim Brotherhood as a threat. He supports them in Egypt and around the world. He does not believe in a war on terror. He has banned the phrase “Islamic terrorist” from our vocabulary. He has unilaterally reduced our nuclear weapons, set deadlines for troop removal whether it is safe or not, and he believes in “global governance” and “international law”. 8. Constitutional Rule of Law. Obama instructed his Justice Department to stop defending (not enforce) the Defense of Marriage Act. Obama’s administration sued the State of Arizona to block its immigration law. He directed federal immigration officials not to respond to local traffic stops or law-enforcement encounters in Arizona unless the detained person is a recent border crosser, has already been removed from the country and reentered the United States unlawfully, or is a convicted criminal. President Obama unilaterally gutted the Clinton administration’s signature achievement—welfare reform. The administration announced that it will waive the central tenet of law—the requirements that recipients work or prepare (through approved education or training) to do so. Although certain aspects of the Personal Responsibility and Work Opportunity Act are subject to waiver, the federal work requirements are not among them. Because the Dream Act failed to be passed, Obama announced that it would not deport illegal aliens who had only violated the immigration laws. His administration has virtually gutted the No Child Left Behind act. Obama’s Attorney General refused to prosecute the New Black Panthers for clear voter intimidation. The Justice Department blocks any voting reform that requires an ID. Obama stated that he believed in traditional marriage while campaigning. He refuses to enforce the Defense of marriage Act, and has since showed his true colors and supports gay marriage. He attacked our freedom of religion by requiring all to provide contraception to their workers in government-mandated health insurance plans. Obama wants to reinstate the marriage penalty by letting the fix that is in the Bush tax cuts expire. This is not a comprehensive list. Obama clearly wants to change America. He does not like America. He would not have spent years listening to the hatred of Reverend Jeremiah Wright if he had any love for our country. His wife famously said that she was never proud of her country before Obama was elected. Dinesh D’Souza, a conservative author, argues that Obama’s father instilled in him an anti-colonialist world view that dictates the president’s policy decisions and makes him “emphatically” different from past Democratic presidents. This does help explain his apology tour and lack of belief in American exceptionalism. It also explains why he removed a bust of Winston Churchill and shipped it back to England in his first days as President. We need to restore our fundamental principles not run away from them.